Monica and Chandler. . Wallpaper and background images in the Monica and Chandler club tagged: mondler friends chandler bing monica geller. 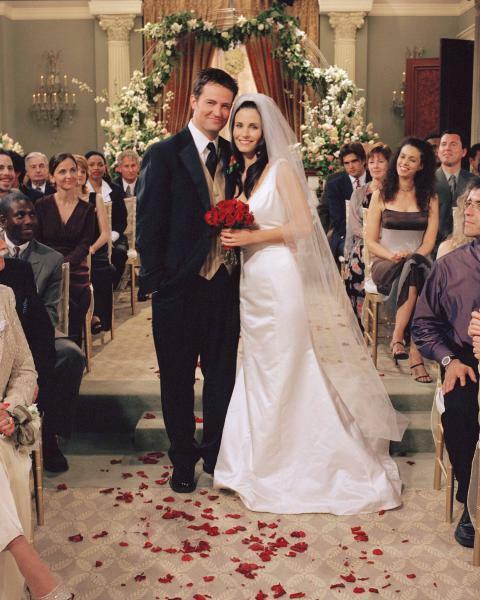 This Monica and Chandler photo contains bridesmaid and maid of honor. There might also be gown, bouquet, corsage, posy, nosegay, gown, and robe.